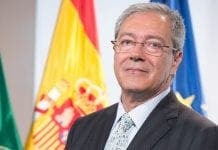 IU tourism boss Rafael Rodriguez has launched a summer campaign to promote Andalucia under the motto ‘You need a holiday. You need Andalucia’. He argues that if all residents in Andalucia stayed here for the summer they would make a substantial contribution to sustaining the regional economy during the crisis. “I invite all residents of the region to discover Andalucia,” he said. “It’s important to get to know the world, but that world starts with what we have to hand’. It comes as Spain is also set to reduce the entry conditions for non-European tourists. 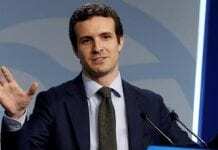 It will make it much easier for Latin Americans to have holidays in Spain. Previously any non-European tourist who wanted to enter Spain for an unlimited time had to show a visa, a return ticket, a hotel reservation and enough money to cover the stay. Meanwhile if they were staying in a friend’s house, they had to supply all the details of that person and the house, including proof of purchase or rental agreement. But following complaints from Brazil and Mexico tourists only have to say who they are visiting and give the address.